Fantomzeit - Dunkelheit oder Leere im frühen Mittelalter? » Welcome Aboard! It’s The Phantom Time Hypothesis, in other words: the question, whether our chronology of the early middle ages is conclusive or not. But is it really conceivable that this may not be the case? Did not all scientific efforts confirm the traditional course of history – again and again? A closer view at the early middle ages will reveal contradictions everywhere – concerning the historical events and their protagonists as well as the progress of history and civilization. Likewise, an intercomparison between scientific dating methods shows deviations and strange behaviour that, despite of all efforts, can still not be understood within the usual chronology. The Phantom Time Hypothesis assumes that some three centuries were inserted deliberately into the records of written history – about a thousand years ago. As a consequence, all events (and their protagonists) between the approximate years 614 AD and 911 AD should be fictitious or dated incorrectly. Earlier events will, therefore, move closer to the present time. Affected are all the civilizations having links with the written history of the Roman Empire of Constantinople – or a chronology referring to scientific methods that were ‘calibrated’ themselves using relics from the Roman Empire. 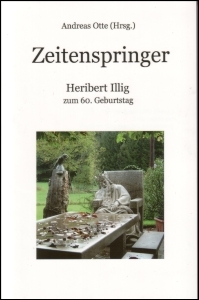 The Interdiszipinäre Bulletin Zeitensprünge edited by Dr. Heribert Illig devotes a large number of its articles to the above questions, aware of the necessity of an interdisciplinary approach to achieve substantial progress. Unfortunately, until now, most scientists are unable to support Illig’s hypothesis, as they feel not competent to clear-up the concerns of the various disciplines. Fantomzeit.de was conceived to direct attention to the fascinating scientific questions that arise with this hypothesis. 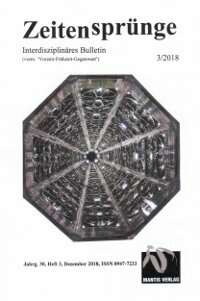 This blog shall encourage discussion and communication and simplify the access to more specialized scientific publications. And, of course, visitors should find lots of information and some fun here! Hans-Ulrich Niemitz (1995): Did the early Middle Ages exist?